This intimate back yard on the west side of Petaluma was an underused lawn area and deck with poor ground clearance and usability. The solution was to install a new permeable paver patio area, with matching block seat wall. Instead of using a permeable paver, a traditional paver was used, but downspouts and catch basins are directed into a permeable gravel field below the pavers, insead of the usual paver foundation of impermeable baserock. 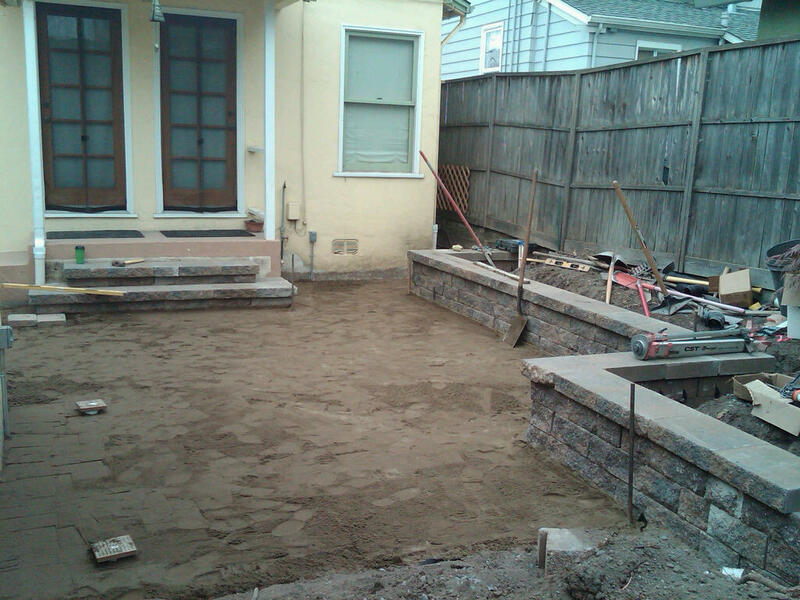 Sand is being screeded to level and lay the pavers on this Petaluma backyard patio.